Rethink Robotics’ Baxter lost out to a faster, simpler, and smaller competitor from Denmark. On a recent Wednesday morning, I donned a virtual reality headset to look at the future of the robotics industry in Massachusetts. Inside the Financial District offices of the architecture firm Silverman Trykowski, I stood in place and used a handheld controller to navigate around a three-dimensional model of a shared robotics lab called MassRobotics, which is planning a major expansion in 2019. The same day, news broke that one of the best-funded robotics companies Boston has ever seen, Rethink Robotics, was closing its doors. Rethink had raised nearly $150 million in capital over a decade of existence, and its first investor was Amazon CEO Jeff Bezos. While robots may be a big part of the future, building and selling them in the present can be exceptionally difficult. Rethink started in 2008 with a compelling and ambitious vision. Just as Apple and IBM in the 1980s introduced an affordable and easy-to-use new tool to offices with their personal computers, Rethink wanted to do the same for manufacturing facilities that couldn’t previously afford robots or considered them too complicated. Rethink had a CEO, Scott Eckert, who came from Dell Computer, a company that knows a few things about mass-producing and mass-marketing affordable tech products. Its chief technology officer and founder, Rodney Brooks, was cofounder of Bedford-based iRobot — maker of the Roomba vacuum cleaner — and a world-renowned MIT robotics professor. 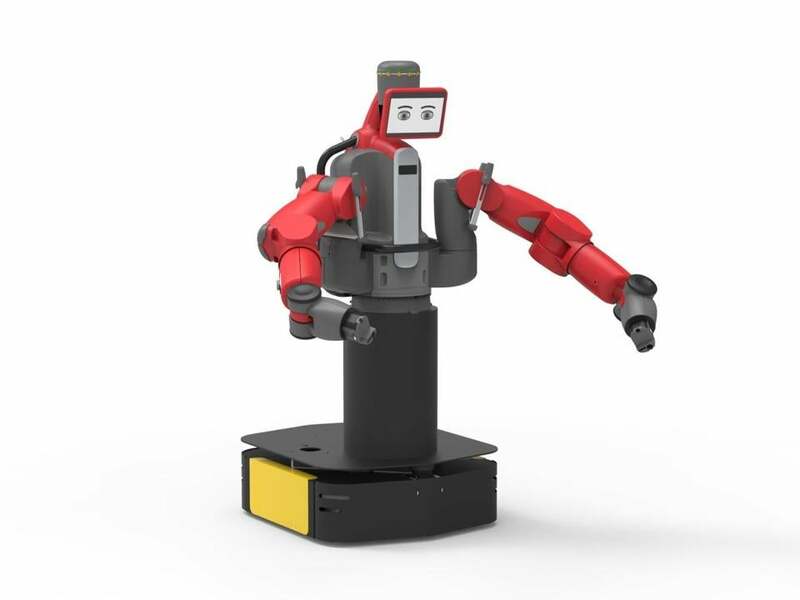 Rethink unveiled its first product, a red, two-armed humanoid robot named Baxter, in September 2012. (OK, it was really a robotic torso: Baxter didn’t have anything going on below the waist.) The pitch was that by using an iPad-like touchscreen and moving Baxter’s arms, you could easily train it to perform a wide range of repetitive tasks. It could also work safely around humans, stopping the machine’s movements instantly when it bumped into something or someone. The bot’s starting price was $20,000, at a time when many industrial robots cost $100,000 and up. It felt like a revolutionary moment in robotics. Baxter and Rethink attracted lots of media attention around the world. In February 2017, Baxter showed up at MassRobotics in the Seaport District for a ceremonial ribbon-cutting when the shared workspace was opening. Boston Mayor Marty Walsh held the ribbon, and Baxter (safely) wielded the giant scissors. “Customers don’t really want robots per se, what they want is solutions to problems,” says Clara Vu, an early consultant to Rethink who is now cofounder of Veo Robotics in Cambridge. Baxter may have been sophisticated, but it was not a relevant solution to enough problems that manufacturing firms had. When Rethink began to sell Baxter, the company found itself competing with a simpler, faster, and smaller product made by Universal Robots of Denmark, the inelegantly named UR5. The UR5 wasn’t as easy to program, but it could perform tasks and movements with more precision than Baxter — which turned out to be important to customers. “What I’d say about Universal is that they innovated where it counted, and left well enough alone where it didn’t,” Vu says. Rethink was also slower than Universal to build a network of distributors and resellers who would help sell Baxter to their customers, says Frank Tobe, the founder of the trade publication The Robot Report. That helped Universal build its sales momentum. “Based on all their sales,” Tobe says, Universal “began to advertise how short the return-on-investment was on their robots,” even though the company’s bot was slightly more expensive at the outset. Rethink knew that the precision and accuracy of Baxter’s movements “was not great,” says Julian Weinstock, a former product manager at the company, mainly because of the use of lower-end joints and gearing to keep Baxter’s price low. The hope was that “we could compensate with smart software for what was a hardware problem.” But “that didn’t pan out to the degree that was necessary,” he says. Rethink had hoped to discover a “killer app” that would dramatically expand the use of manufacturing robots, Weinstock says. It ran out of money before it got there — though it was popular with academic researchers who wanted an inexpensive robot to help run experiments. The biggest challenge right now, Ryden says, is finding more grants and sponsorship for the build-out. “The price of construction has gone up since we started the planning process,” he says. But the hope is for the additional space to be open sometime between February and April next year, making room for even more robotics ventures.